Say it ain’t so, Lance. There are three main topics of conversation among my cycling friends this morning: Jens Voight’s performance in the USA Pro Challenge; the opening of the Joseph Gordon-Levitt bike messenger movie, Premium Rush; and, of course, the news that Lance Armstrong won’t fight charges brought against him by the U.S. Anti-Doping Agency. I’ve raced bikes for the past five years or so, (although I’ve been taking some time off this year) and my main reaction to this news is to just be sad. I don’t know if the latest round of allegations against Lance Armstrong is true – or if any of the allegations by the various cycling bodies that have tried to bust him for doping have been true – but I know that I don’t want them to be true. I don’t care if he’s a jerk or that he wouldn’t marry Sheryl Crow, I don’t really even care that much about all the money he’s raised for cancer research, as much as that has helped the beneficiaries of his Livestrong charity. I don’t want these allegations to be true, because if they’re true, it means the best American cyclist in a generation is a fraud and a cheat, that his teammates were probably also frauds and cheats, and that there was probably a whole network of doctors, team managers and officials behind them helping them be frauds and cheats. And if that’s true, then I want to weep for the sport I love. Most Americans don’t follow professional bike racing. An even smaller number actually race recreationally or professionally. The legends of our sport – Eddie Merckx, Major Taylor, Greg LeMond, Mario Cipollini, Jan Ullrich – are largely unknowns. My personal heroes – Jennie Reed, Victoria Pendleton, Georgia Gould, Katie Compton, Marianne Vos – you’ve probably never heard of them, either, even though the Netherlands’ Vos has won almost everything you can win in cycling, including multiple world championships and a gold medal in the women’s road race in the London Olympics, and Reed, an incredibly powerful American track sprinter, can do a seated-box jump like 10 ft. high. Compare this to the doping scandal that has plagued Major League Baseball in past years. Americans watching Roger Clemens or Barry Bonds testify before Congress can still conjure up images of their favorite slugger of yore. Or if not, they’re still going to take their kids to little league this weekend. What else do most Americans know about the sport of cycling besides Lance Armstrong? 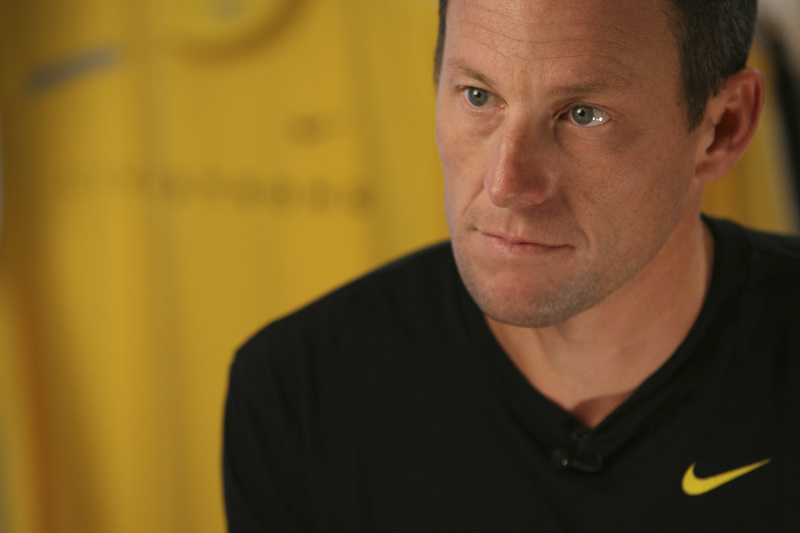 Cycling fans: How are you reacting to the news that Lance Armstrong won’t fight the USADA’s doping charges? Do doping allegations like these dampen your passion for the sport or make your feel disillusioned? It’s not like this news will make me stop racing. This Sunday I’ll compete in the Chicago area’s first big cyclocross race of the season; I’ll probably do winter training this year and hopefully I’ll get back on the track this spring after taking this year off. I’ll continue to look up to my friends and peers in the sport, the ones busting their butts to compete and win on a local and national level. But I guess the idealistic, non-jaded part of me that wants to believe that heroes are real, that winners never cheat and that idols can’t be killed, has taken a beating today.